Finding an emergency dentist in Shreveport LA is not a difficult prospect when you use our 24/7 dental hotline. We provide a service that can connect you with a 24 hour dentist locally, in Shreveport, so that you can find a dentist to serve your emergency needs as quickly as possible. Simply call our hotline service and spend 1 or 2 minutes speaking with the operator, shortly you will find yourself in the office of a Shreveport emergency dental clinic having your procedure. If you don’t want to call our 100% free hotline, you can also browse our emergency dentist directory, which shows a variety of urgent care dental offices in the Shreveport area. Had a bad toothache, called and was able to find several local dentists! These dental care listings here are suggested by E-Dentists USA and every one of these emergency dental offices have some type of after-hours consultations as well as evening care, although not all of them are 24 hours. This database is for an individual to help find an emergency dentist near you, however, if you desire to bypass the extra work associated with calling each dentist, make use of the 24/7 phone line we provide you with and be connected to an emergency dentist within a few minutes. Description: Call us today to find the perfect emergency dentist in Shreveport for whatever your situation may be. Getting ahold of a dentist office at night or on the weekends can be a nightmare. We make the process simple by maintaining a relationship with thousands of dentist throughout the nation. Call today, speak to the operator 24 hours a day, 7 days a week, and make an appointment with a dentist near you! Find Louisiana 24 hour dentists today. Description: At Shreveport Bossier Family Dental Care, they strive to provide the highest level of care and convenience possible for their patients. That’s why they have 4 adult office locations and one pediatric dentistry location in order to better serve their patients. Each office has the latest technology in order for them to deliver the best and most comfortable treatment. Description: A few things that set this dental clinic apart from other dentists in Shreveport is their desire and effort to get patients in the same day if needed. There are times when this is crucial to deal with emergency dental needs. They understand this and try to be sympathetic. Description: At Palmer and O’Brien Family Dentistry in Shreveport, their entire team is committed to helping you achieve a smile you can feel good about. They are a family-oriented dental practice located in the Pierremont area, providing gentle, compassionate dental care for you and your loved ones. Description: At Cormier Family Dentistry, they are continually welcoming new patients into our Shreveport practice, and would love to have you as part of their dental family. For patients who generally avoid the dentist due to anxiety, they can offer oral conscious sedation and other forms of sedation dentistry, which allows patients to drift pleasantly through even the most complex procedures. 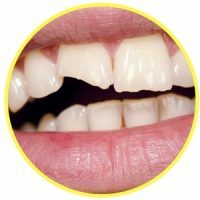 There are many dental emergencies one may face in a lifetime. Some of the most common ones are severe toothache, broken or lose braces or wires, knocked out teeth, abscess or even a soft tissue injury. If you face any of the common dental emergencies we outline below, contact your Shreveport emergency dentist right away. If you can find the knocked out tooth, rinse it carefully with plain water. Hold the tooth only by the crown and avoid touching the roots of the tooth. Rinse your mouth with water and place the tooth into the gum while applying gentle pressure. Be sure to keep the tooth moist by keeping it in a container of milk or Save-a-Tooth until you are able to get in to see an emergency dentist. Try to find the chip or broken tooth if possible, and place it in a small container of milk to bring to your emergency dentist. Use a cold compress on the outside of your mouth, cheeks, or lips to reduce the swelling and pain. Also, you can apply a moistened piece of gauze to any area of the mouth that is bleeding. If you find yourself with a broken braces wire, use the eraser end of a pencil and push the broken wire into a more comfortable position. 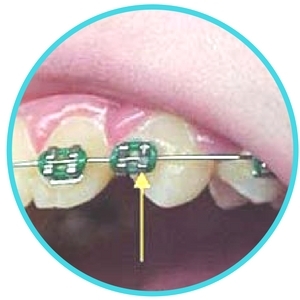 You can also cover the sharp end of the wire with a cotton ball or a bit of orthodontic wax to protect your mouth. Do not remove the braces that are broken. You will want to get in to see a dentist right away in order to get the wire fixed. 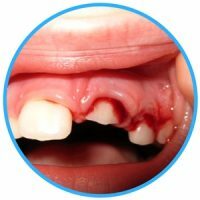 If you are facing a dental emergency that also involves other bodily injuries such as head or face trauma, it would be best to go to the emergency room to get checked out first before heading to a Shreveport emergency dentist. Keep in mind when going to a new dentist for the first time, you’ll want to check out their licensing and credentials. You can do so here at the Louisiana Dental Association. Emergency Dentists USA is here to help no matter what dental emergency you may be facing! Just give us a call and let our experienced and knowledgeable staff help find the perfect dentist for you.